It's no secret that Hollywood is filled with ageism against women, but thankfully actors, actresses, writers, producers, directors, and anyone and everyone (of both genders) who knows this type of discrimination is wrong are trying to change the entertainment world for the better, so women don't have to experience such inequality. 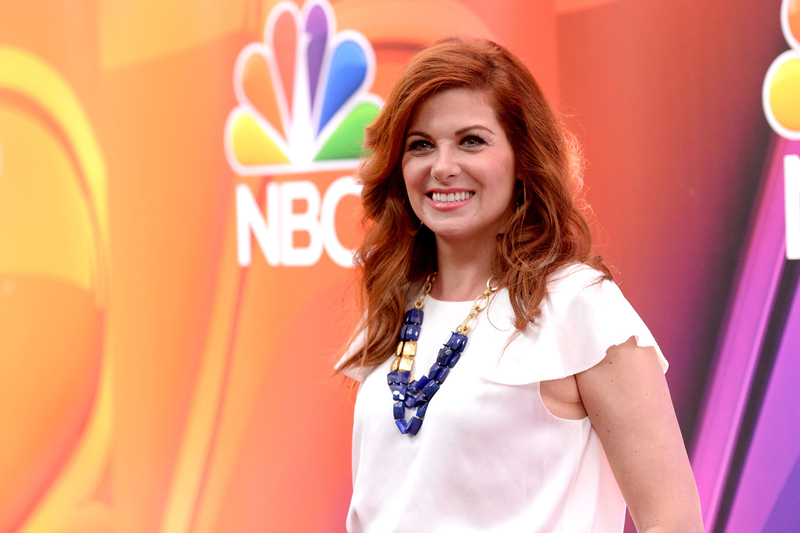 One celebrity in particular who is speaking out is Debra Messing, who is hoping to improve her career field for women of all ages. "I think that roles that are multidimensional are hard to find at any age as a woman," she say via phone. This is a very open discussion that's been going on in Hollywood for awhile now and that is the great roles are always written for men. Unfortunately, women's roles are usually supporters, so they're a wife or they're a secretary or they're a lover. The really, really intricate characters are usually played by men. That's something that I really want to change in my lifetime. However, the 47-year-old Emmy winner feels like she's had an easier time of finding complex roles compared to other actresses. "I think because I was on a TV show that was beloved [Will & Grace] I haven't had the same kind of difficulties finding work as I'm getting older as maybe some other women in their forties have found, because I know that it's a very real thing," she explains. For me, she reflects so many women that I know. Passionate women who love their job and are really great at their job and are also devoted parents, who happen to be single parents. You know, [who] are trying their best to balance the two and keep everyone happy. Of course, we can't keep everyone happy all the time. For me, that's real life. I really appreciated that Laura was going to be living her life on screen like that. To know that the show and her character are impacting female viewers is more than Messing could've hoped for. "I'm grateful and happy that so many women are relating to Laura," she says. "That was my hope all along."